Kriegsmarine was (in)famous for the massive use of their submarine's fleet during the War, despite most of the U-boats were used against Allied shipping, some were deployed against the Soviet Navy. That's the list of the Soviet anti-submarines successes. or Allied British corvette Bamburgh Castle. But forced to return at base. BLACK SEA: 2 Submarines directly sunk in action: an Italian midget submarine by motor torpedo boat and an U-boat by air attack. 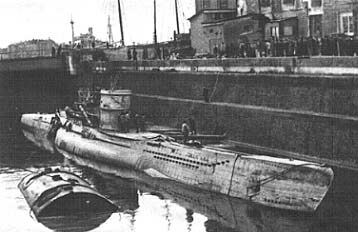 2 other U-boats were badly damaged and scuttled by Germans as direct consequence of the damage, other 2 Italian midget submarines were technically in bad conditions at the time of the aerial attack resulting in heavy damages and were captured some time later. Only one time a German U-boat suffered heavy damages by depth charges, in another occasion 2 Italian midget submarines suffered bad damages and were out of action by the time of the blockade of Sevastopol. In Black Sea a number of Submarine attacks close Poti were prevented by ASW even if the U-boats were not damaged. Not heavy, but forced to return at base. 2 Il-2 attack aircrafts and 1 MBR-2 seaplane. Minesweepers Tszcz-401 Tral and Tszcz-412 Arseniy Rasskin and patrol boats SKA-082, SKA-0102, SKA-0122. No casualties. Needed 2 months of repairs. BALTIC SEA: 6 German U-boats were directly sunk: one by submarine, one by depth charges, 2 by mines, one by mines laid by submarine, one by ground artillery fire. 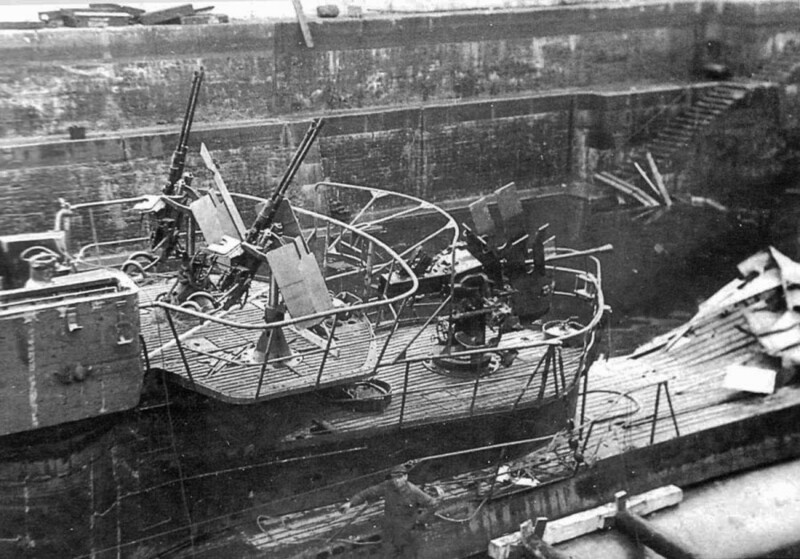 Another U-boat was badly damaged and scuttled by Germans as direct consequence of the damage. Alongside this higher successes in Baltic Sea, the Germans caused only limited damages to the Soviet forces because their victim were mostly small boats or submarine chasers, rather than merchants or tankers. Трофейная подлодка Ю-250, потопленная, а затем поднятая, и её пленённая команда. U-250 submarine raised by Soviets. 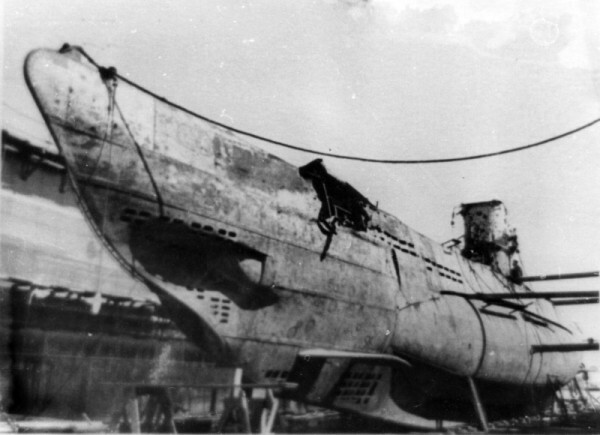 The most famous U-boat sunk by Soviet forces because it sunk in low waters and was recovered by Soviets and lots of informations were gained (German and Finnish long-rage artillery tried to stop the recover of the submarine) including an intact exemplar of the new Geramn advanced secret acustic torpedo T-5. 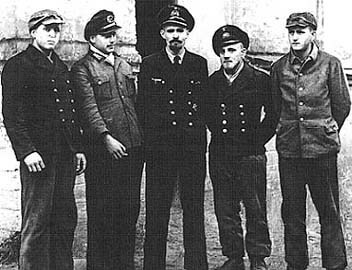 The commander of the U-250, Captain Lt. Werner-Karl Schmidt with 4 of the 5 other sailors capturred. Capt. Schmidt was the only German submarine commander POW in action by Soviets.